No Boundaries is a coached & organized 10-week training program. Fleet Feet Fox Valley has more than 9 years of experience in offering our Beginner 5K training program and the continued success of our graduates is proof that our programs are effective at getting you to your goal. Our programs are progressive in nature, with each week building upon the last - slow, steady and consistent! Training Kicks off with our Gear-Up event Monday, March 25, 5:30 - 7PM. Note: this day is NOT a workout. Access to the Running Club Coordinator, the Coach/Mentor team and Fleet Feet Owners and Managers (phone numbers, email, Facebook). After all, we are one big family and we are here for you! 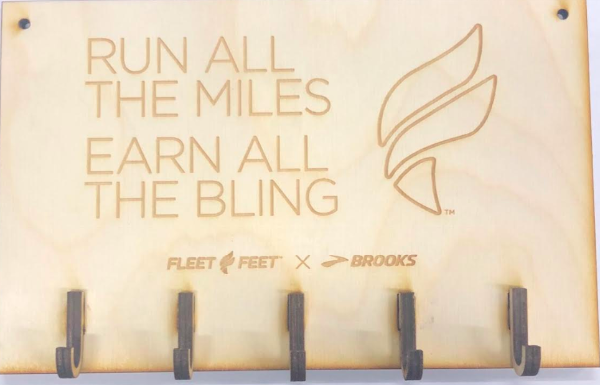 BONUS: Whether this will be your first 5K or one of many, we've got a sweet new medal hanger for you! You deserve to show off your accomplishments!